Round 1: Ch 1, *work 1 sc in ring, ch 3, repeat from * 4 more times, join but do not close up magic ring yet — 5 ch-3 loop petals. Fasten off. 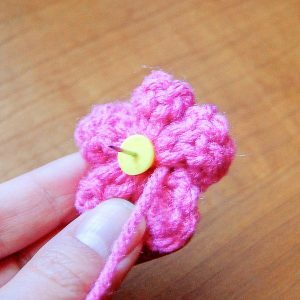 Now, insert the head of your push pin into the magic ring center of your flower (the back of the flower should be on the pin side). Pull beginning tail of yarn to close up the magic ring tightly around the tack. Weave in the tails to secure. That’s it! Quick and easy and so pretty too! 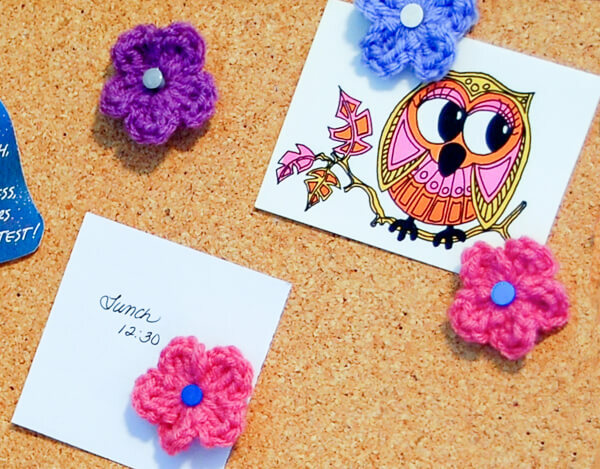 What a great quick crochet project…a great way to use up all those scraps! 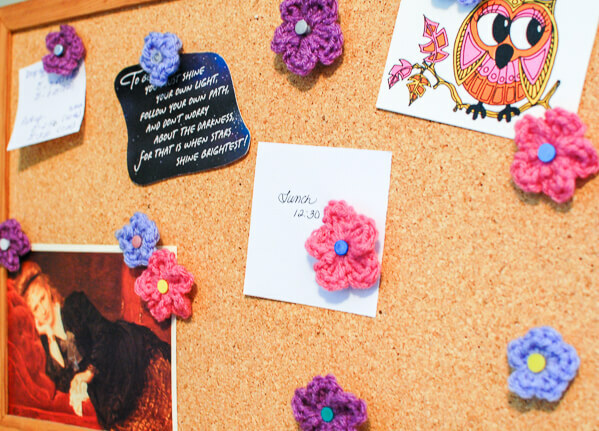 I’ve never though to crochet push pins! 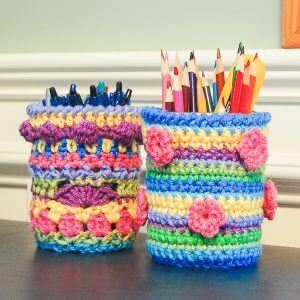 What a great way to use up all those yarn scraps! What a fun idea. Just lovely.